The National Payments Corp. of India (NPCI) has reduced the number of transfers that a person can make to another person/s in a 24-hour period to 10, from the limit of 20 earlier on the UPI network. NPCI issued a circular saying this is being done to “encourage genuine transactions in the UPI ecosystem”. Though individuals can make only 10 transfers to another person from her bank account in a day, the limit is applicable only on person-to-person transactions and that too from a single bank account. This means that if you have more than one bank account, and even if they are linked to the same mobile number, you can do more than 10 inter-personal transactions per day. So if a person has three bank accounts, she can make 30 money transfers in a day using UPI. This also means that if you are using multiple UPI apps for a single bank account, the total transactions you will be able to do in 24 hours will be limited to 10. The limit is not applicable to person-to-merchant transactions. The UPI platform allows merchants to register themselves as merchants. The facility is also available through NPCI’s BHIM app. So if you are making online purchases and paying through UPI to a registered merchant, the limit does not impact you. Most online services like e-commerce companies, food delivery apps or cab services are registered merchants and hence the limit does not apply if you use UPI to pay for their services. However, if smaller merchants, like neighbourhood grocery stores accept UPI payments through their VPA (virtual payment address) or QR Code, but have not registered themselves as merchants, those transactions will also be counted in the limit of 10 transactions. Despite the limitation, UPI can be an effective and better payment option for most retail consumers. That is because you can carry out a person-to-person transaction using UPI without having to add a beneficiary, which is required if you want to transfer funds using other net-banking modes like IMPS or NEFT. In case of payments through internet banking for merchant payments, you have to follow multiple steps—logging into the account using your user ID and password, and providing a second factor authentication (OTP). To use a debit or credit card, you have to enter the name, card number and expiry date. With UPI, you just need to input your UPI ID, which leads to a payment request being sent to your UPI app. Log in and approve the payment by entering your PIN. 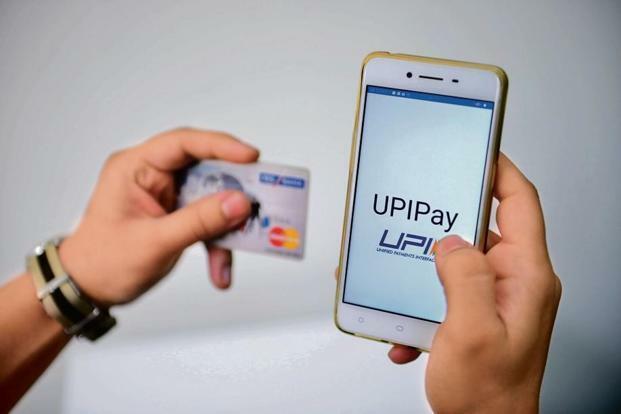 Moreover, with merchant transactions, UPI transactions up to ₹2,000 do not attract any payment gateway charges, which is not always the case with other modes.